Thanksgiving is soon! It can be hard to make a plastic-free meal, but here are some tips I’ve come up with to minimize plastic waste this Thanksgiving. 1. 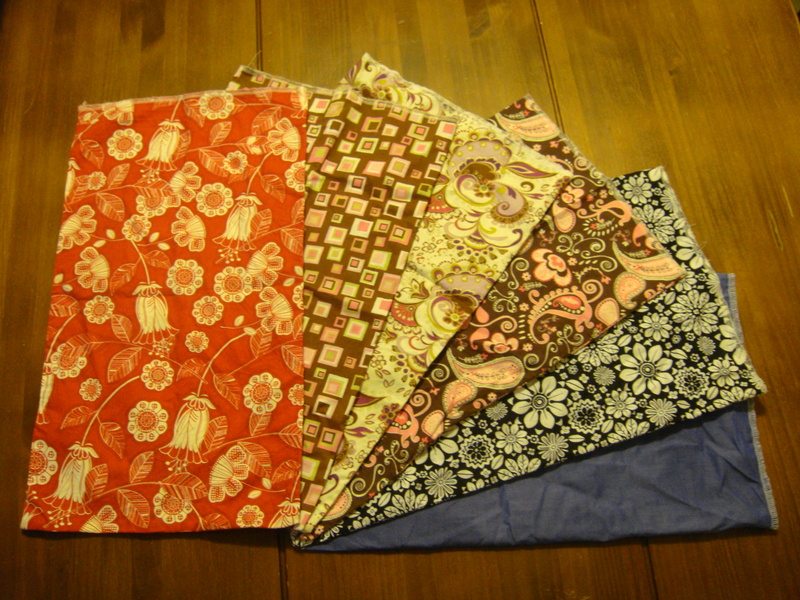 Use reusable shopping bags when you buy your ingredients. Use reusable produce bags too. You can buy these online (Etsy is a good source) or make them yourself. 2. Instead of buying pre-made pastry shells packaged in plastic for your pies, make your own pastry using plastic-free ingredients. Use parchment paper to chill it instead of plastic wrap. 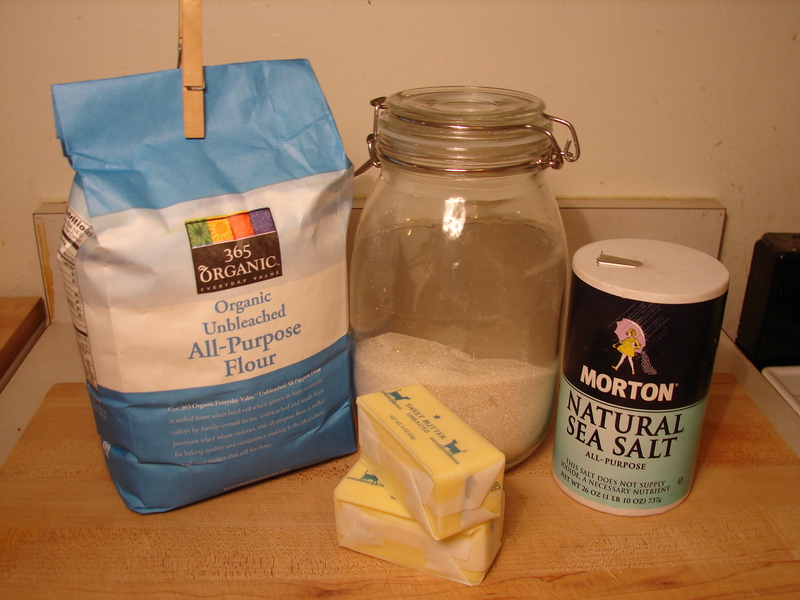 I have a recipe that calls for lard and a recipe that uses butter instead of lard. 3. Instead of cranberry sauce (unless you find a source of plastic-free cranberries), try this recipe for pear raisin chutney. It can easily be made plastic free and it tastes great. 4. If you buy meat, bring your own container to do it. I make tourtière at Thanksgiving and I bought the beef for it in my own container this year. I use Lunchbots. 5. Don’t buy canned pumpkin this year. Food cans are lined with plastic that contains bisphenol-A (BPA), a toxic chemical. 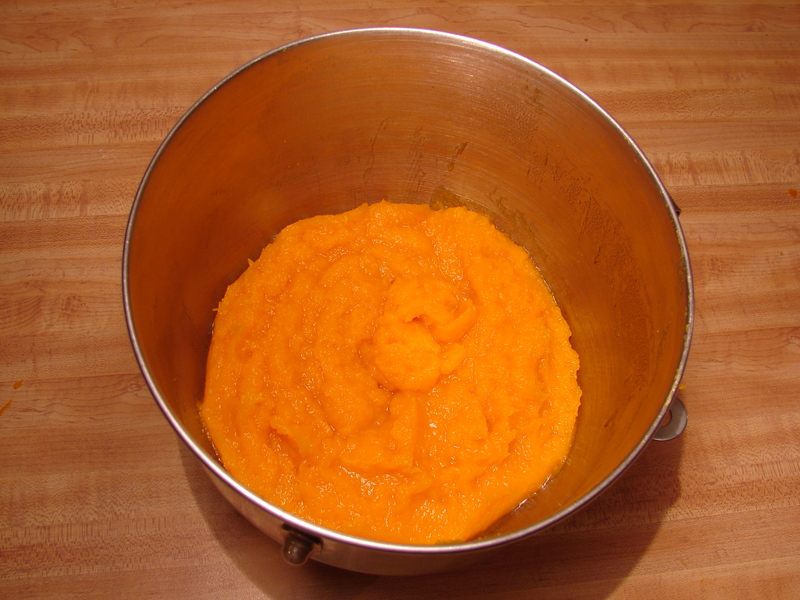 Instead, make puree from a whole pumpkin. Click here for the how to. 6. Plastic-free pie recipes? I have them. Pumpkin pie (no canned milk or canned pumpkin), walnut tart (no corn syrup) and rhubarb pie. 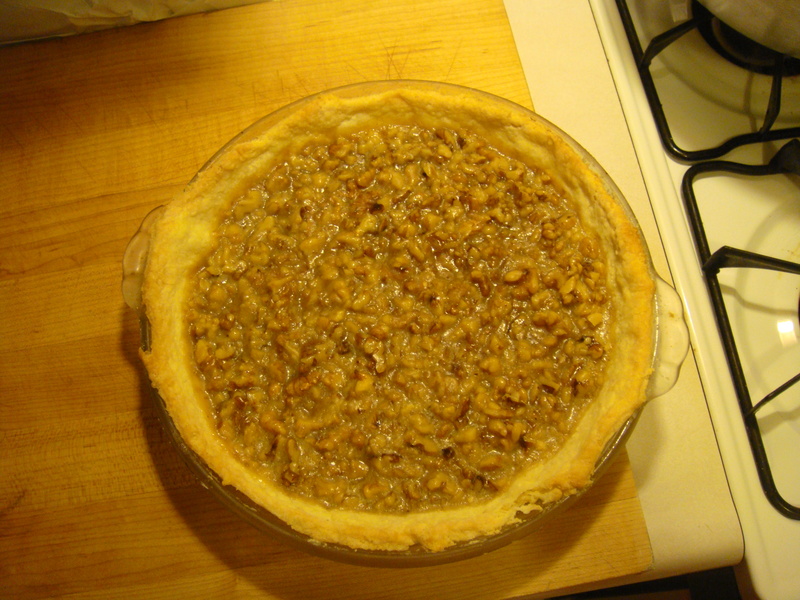 This pecan pie recipe can be made plastic-free pretty easily as well. 7. Make your own stuffing instead of using the instant stuff. Avoid using bread in plastic bags for the stuffing. 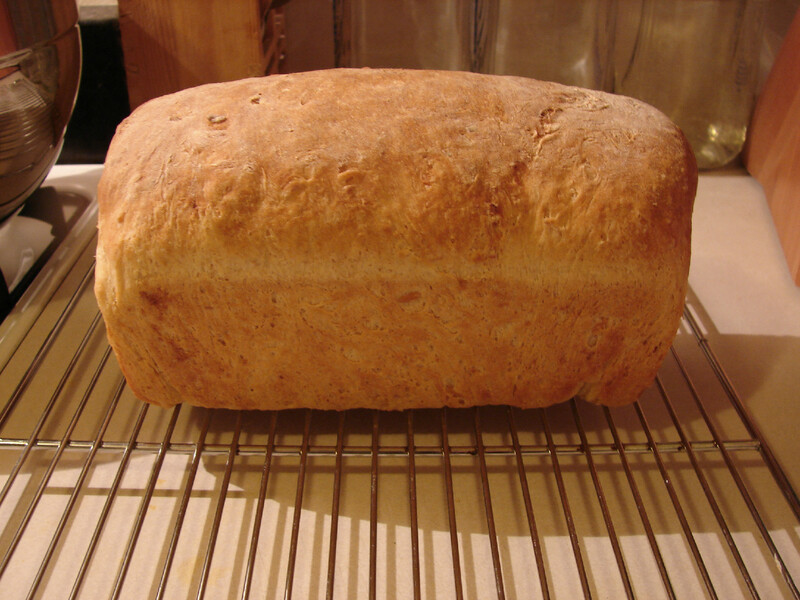 Go for bread in paper bags or, better yet, make your own. 8. If you’re drinking on Thanksgiving, try to find wines without plastic corks. Corkwatch is a database you can search to find wines with natural corks. 9. Store Thanksgiving leftovers in glass containers. 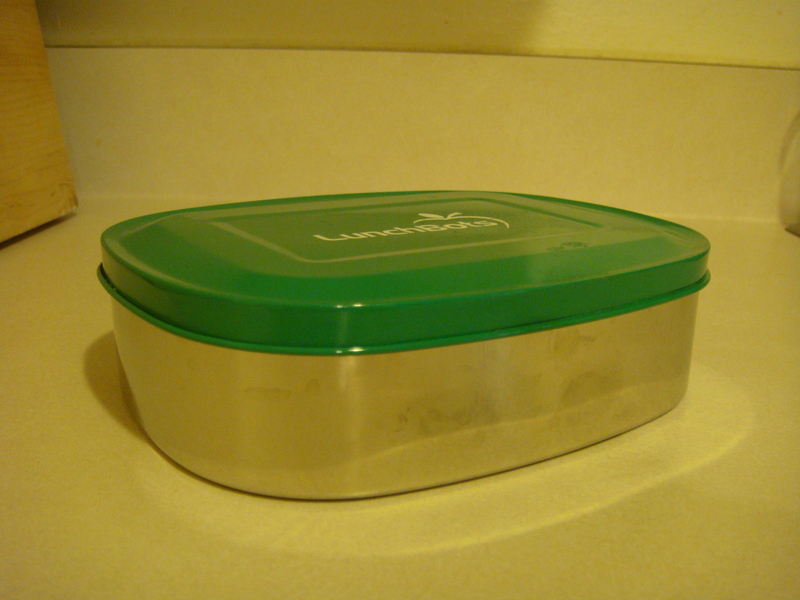 Check out this list of things to use instead of plastic wrap for storing your Thanksgiving leftovers. I hope these tips help you out. Have a great Thanksgiving! FYI a lot of places have laws preventing stores from giving you the meat in your own container – seriously. Here in Portland, Oregon, where you’d think it’d be easy to do that, stores are not allowed – you can only bring your own container in “self service” sections (i.e., bulk aisle). Well, I use my produce bags mainly for stuff like green beans, mushrooms, grapes and that sort of thing. I use them for bulk stuff too like nuts. That stinks that they have those laws! At least you can use containers for self service sections. Unless you have a large family and buy 10 of them 🙂 I use homemade mesh produce bags for everything: zucchinis, avocados, tomatoes, apples, pears, almonds… and I use homemade cotton produce bag for greens – since they are usually wet, they otherwise drip through a mesh bag, and small grains that I buy in the bulk section like quinoa. Love your tips. I wonder if one could make cranberry sauce from dried cranberries sold in bulk. Maybe soaking them in the juice of a couple of oranges? Hummmmm, I’ll have to experiment. Thank you for the ideas and recipes. Thanks for pointing that out! It turns out you can make cranberry sauce out of dried cranberries. I had never thought of it before. 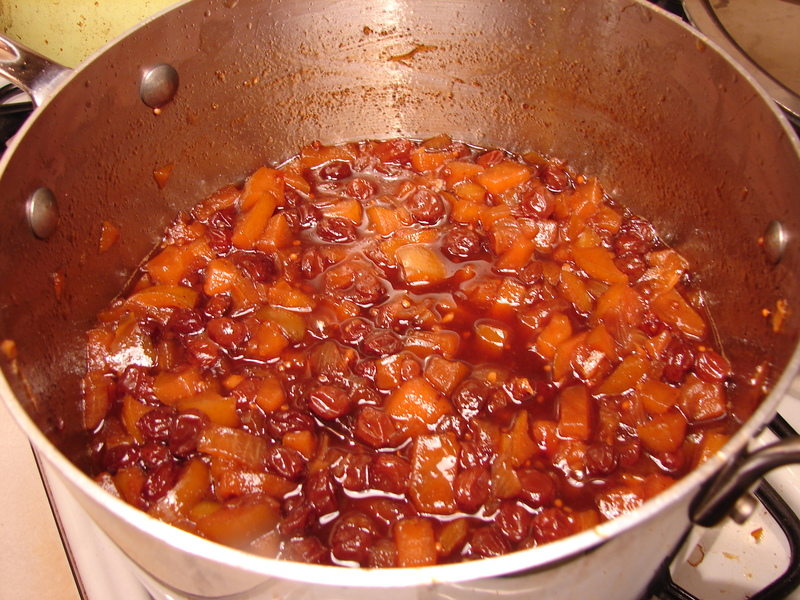 Here’s a recipe I found for cinnamon apple cranberry sauce: http://bit.ly/4MoQNi The cranberries can be purchased in bulk like you said and the cranberry juice can be found in a glass bottle. I didn’t know you could buy pumpkin in cans, I must check my grocery store to see if you can get it in Australia, not that I would buy it. I find it quite amusing people can’t purée a bit of pumpkin. Yeah, it’s kind of crazy that people don’t do something as basic as puree their own pumpkin. It’s so easy to do it yourself! In the United States people like convenience though. I used to use canned pumpkin too. It just never occurred to me to cook it myself.